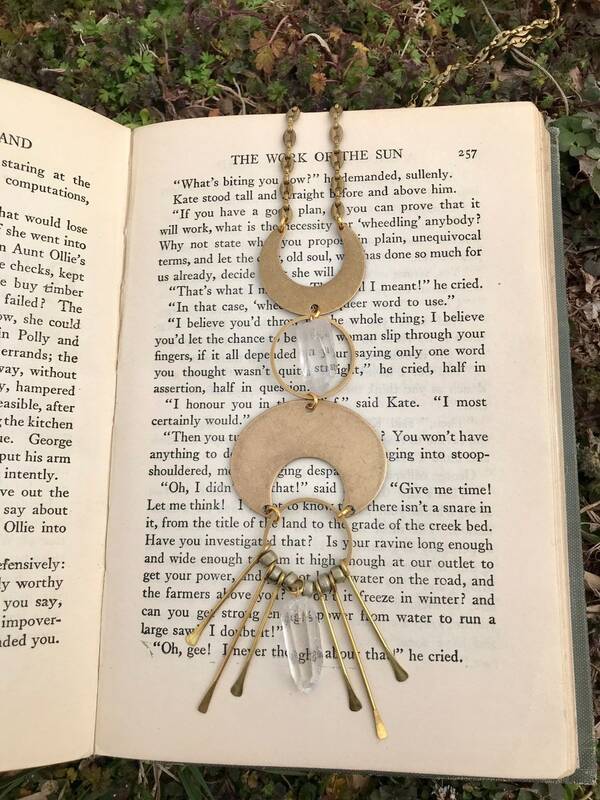 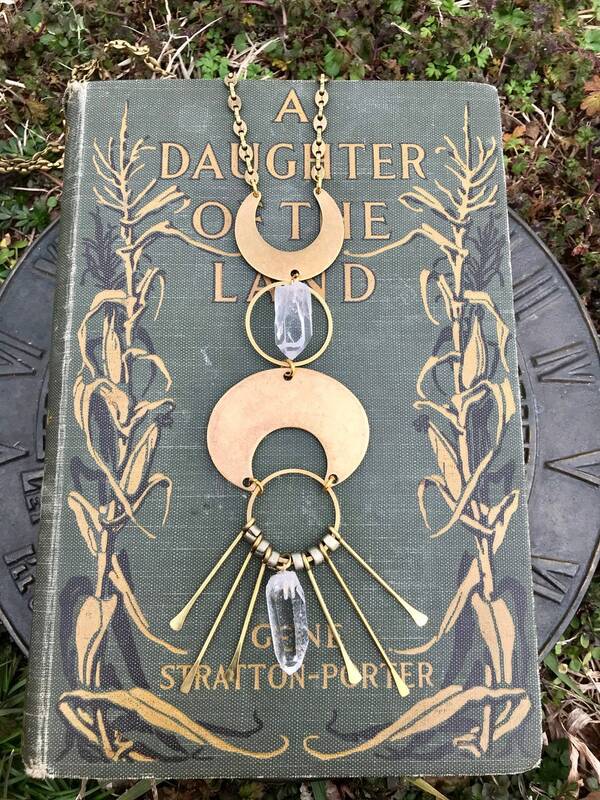 The Ophelia Necklace is a whimsical piece featuring quartz crystals for protection, vintage kuchi beads, and vintage brass components. 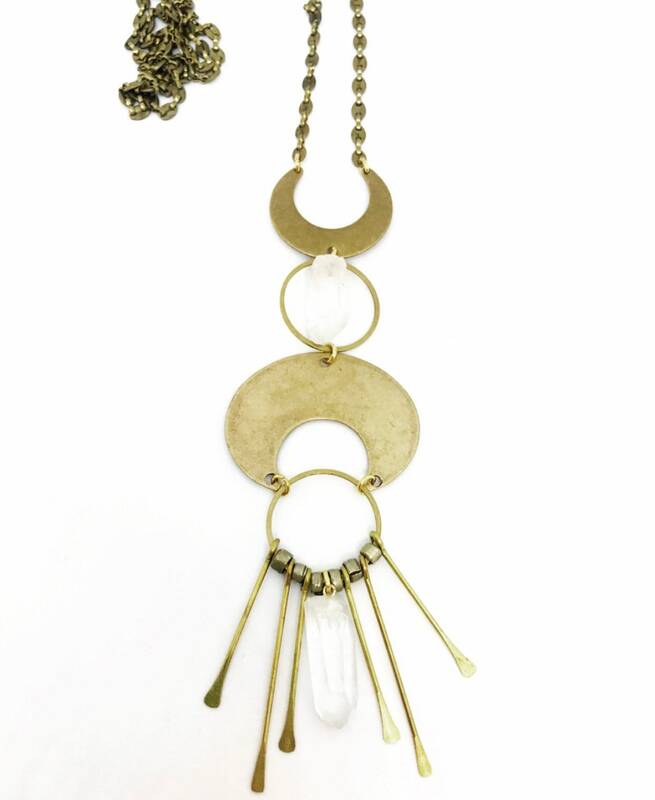 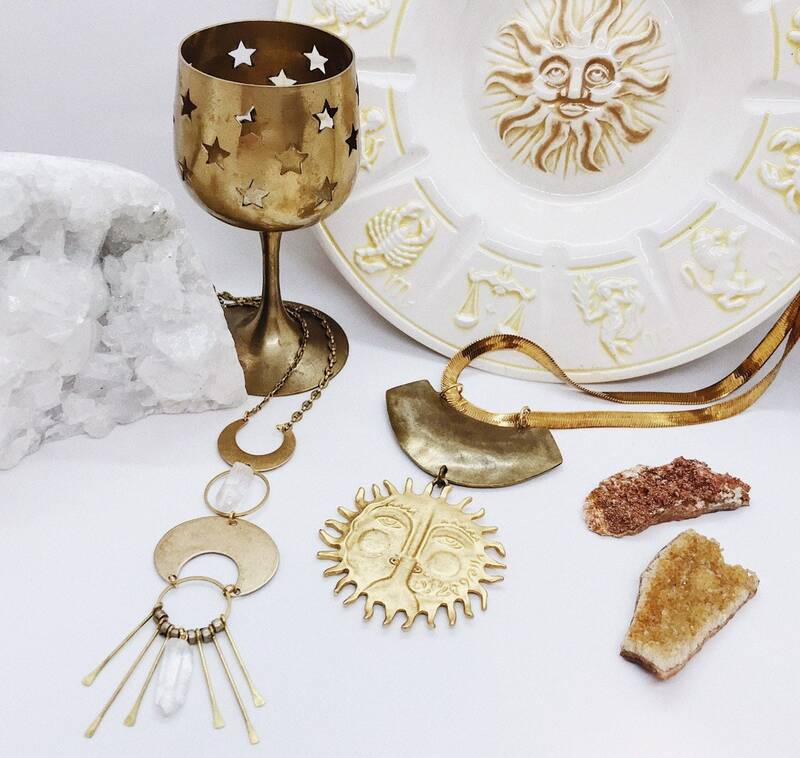 The pendant measures 6 inches long and hangs from a 28 inch vintage brass chain. 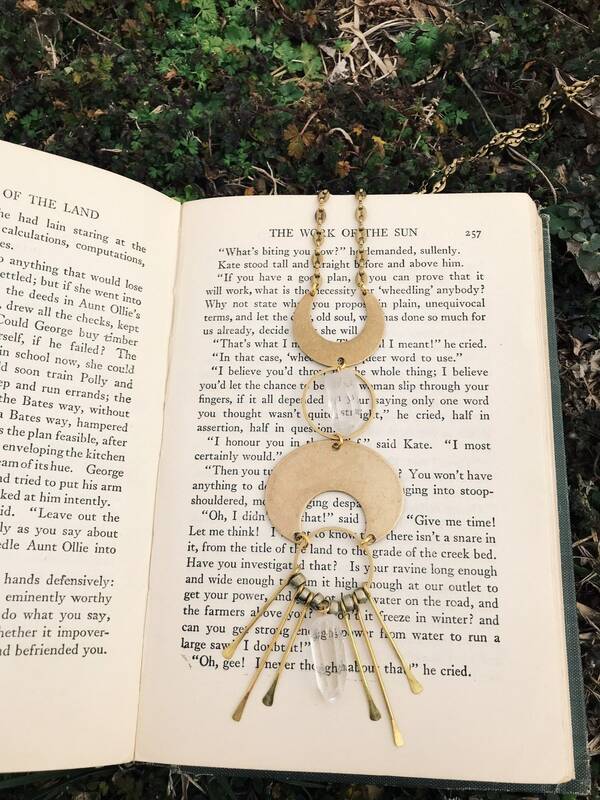 The chain links do fold but can be straightened out before wear.